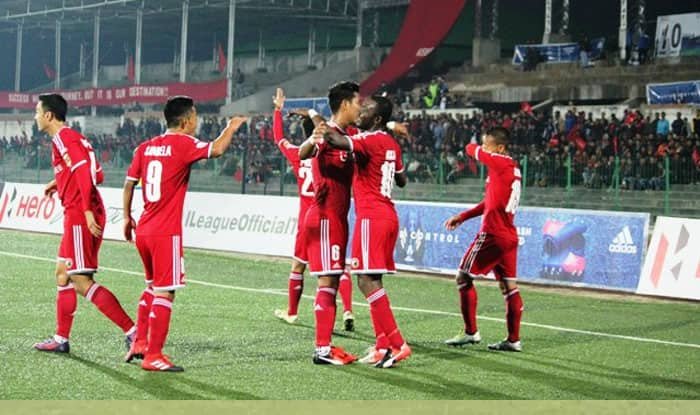 Churchill Brothers will take to the field against a lowly Shillong Lajong in the I-league with the aim to climb to the top of the table. The Goan side had hammered Shillong 4-2 in the first leg fixture. Churchill are relentless in attack and are backed by a quality finisher in Willis Plaza. Shillong, on the other hand, never gave up on the attacking option, but have been unable to exploit their chances this season. League top scorer Willis Plaza of Trinidad & Tobago netted three of his 16 goals this campaign in the first leg against Shillong and will remain the primary threat to Alison Kharsyntiew’s talented side. Gambian winger Dawda Cessay’s sterling form will also be an added threat to the home side. “Tomorrow I think it will be a very difficult game for both of us as Shillong will be playing for not getting relegated and we will be playing for the championship and the best team has to win,” he said. “Surprised to see Shillong in this position as they are a very good team. They play very good football. This team may go up. If we win tomorrow we hope for the second position, but if we lose tomorrow, we are not under pressure. The pressure is on Shillong to win,” Gigiu added. On the other hand, Alison said: “From the beginning, I have been positive for the young players. I try to help them improve in every match and also for their future. Everyone is working hard. We are going step by step. We are learning from our past matches. Churchill is a good team with a good coach,” he said.